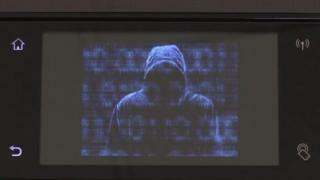 A customised image sent by fax can let malicious hackers sneak into corporate networks, security researchers have found. In a presentation at the Def Con hacker conference, two researchers showed how to craft the booby-trapped images. The malicious message exploits the protocols used to define the format of fax messages. The pair said millions of companies could be at risk because they currently did little to secure fax lines. “Fax has no security measures built in – absolutely nothing,” security researcher Yaniv Balmas, from Check Point software, told the BBC. Mr Balmas uncovered the security holes in the fax protocols with the help of colleague Eyal Itkin and said they were “surprised” by the extent to which fax was still used. “There seems to be a lot of organisations, government agencies, banks and others that are still using fax,” said Mr Balmas. He added that there were historical and legal reasons why the ageing technology was still so prevalent. England’s NHS is known to be a big user of fax machines. About 9,000 of them were recently found to still be in use in the service. Organisations were vulnerable to a fax attack, said Mr Balmas, because often the machines that received fax messages were also printers and copiers that typically had a connection to an organisation’s internal network. Gaining control of the machine that handles faxes, copying and printing can give attackers a foothold on a vulnerable network. They could then use this access to explore and attack the larger organisation, said Mr Balmas. The weakness emerges in the protocols that define the way the data making up fax messages should be prepared. “The protocols we use for fax were standardised in the 1980s and have not been changed since,” Mr Balmas said. This weakness let the pair craft an image that harboured a malicious payload. For their test case, the payload used was a software exploit known as Eternal Blue, which was behind the massive WannaCry attack last year. The fax protocols were poorly worded, which had led to them being interpreted in different ways by different manufacturers, said Mr Balmas. And this had contributed to the vulnerabilities in the fax system. In particular, the researchers found problems with the way the protocols were used in some multi-purpose printers made by HP that are widely used in the business world. HP has now issued a patch for its printers, which will close the loopholes found by the pair. But, said Mr Balmas, because fax numbers were very widely shared, they could be an easy-to-find attack route for malicious hackers who targeted different machines. So far, there is no evidence that malicious hackers are using the booby-trapped images to penetrate otherwise well defended networks.